There is snap-shot image from another time and place that has time-lapsed itself into my soul. It is an image full of a hundred different things entering my senses all at once. The small-town Illinois backyard at dusk at my great-grandparent's house would be heavy with summer humidity, the smell of earth, and the feel of soft grass on on my bare feet. 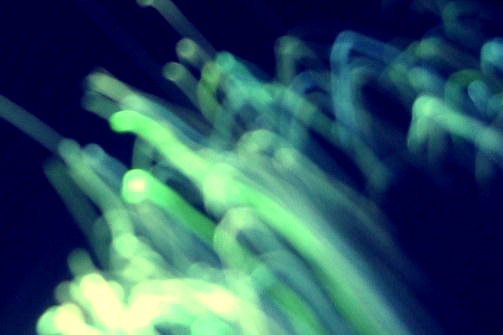 When it would become just dark enough, I could see the fireflies ascending and illuminating the night. Their choreographed motion was both mesmerizing and beautiful - even more so when night would come, because their glow became even brighter. I would catch them in a mason jar and watch their light gather in an ethereal swirl of movement through the glass. After setting them free, it would soon be time to go upstairs and fall asleep to the sound of trains breaking through in the distance. I would wake up to sunlight flooding through the windows, the smell of eggs cooking in the kitchen, and the sound of the wood floors creaking from generations of footsteps that had walked through the hallways. 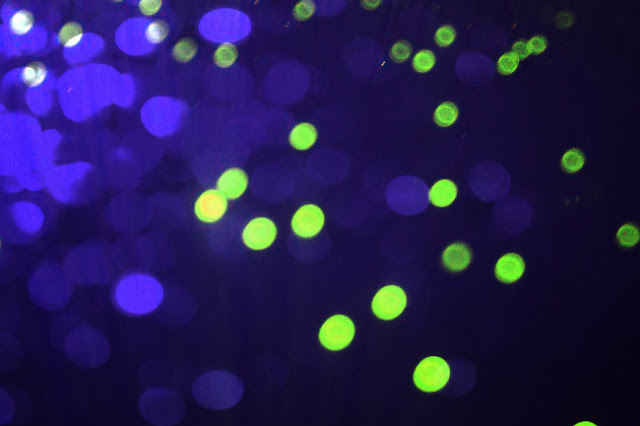 While the glow that that filled the nights of the rest of my Gen X childhood would come mostly from video games or TV shows, I never forgot the glow of the fireflies. I never forgot those illuminated mason jars on those hot Midwestern summer evenings. Sometimes, now that I am two thousand miles away and thirty-something years older, that place and time will call to me and I can feel my heart swelling with some sort of longing. Sometimes a breeze blows into the house and the earth smells exactly like it did on those Illinois nights - rain in the distance falling on farmland, dust being brought down from the atmosphere back to the earth, the hallowed wood of the trees, and the soft, sweet grass. Sometimes, late at night, when a train goes wailing by in the distance, I wake up and I think for a moment that I am a small child back in Illinois. If you are Generation X, you were born into one of the most neglected generations in modern history. While I know many Xers who had good childhoods, I know many, many more who did not. The logic of the times included parental self-immersion which led to, and even required, self-reliance for Xers. The years that Generation X grew up have even been called the most anti-child era in the history of America - and this left Gen X with a pretty hardened edge. The zeitgeist took a wrenching toll on me, and athough my childhood was wrought with the same darkness and chaos as most Gen Xers, it was also full of many blessings and good moments that I cling to. Through all my growing-up years, the most meaningful thing of all was a steadfast undertow of a light - enough that the darkness could never completely overtake me. I remember the Illinois dusk. The heavy, tired dusk in those days would hang over the streets, and the houses, and our hearts, foreshadowing a darkness sure to manifest in the coming years and decades. Yet, right in the midst of the enveloping anxiety that came as the sun would slip down below the horizon, a profound peace would come. A message would resonate within me, telling me not to be afraid when the dusk comes, and not to be afraid when dusk turns to night, because morning always follows. Do not be afraid, because the light always ascends. Do not be afraid, because the light always comes. Through the darkest of nights, I was given enough light to carry me, and that light was the substance of God. Those fleeting moments of unbounded peace and joy stayed imprinted on my consciousness throughout my life - when the fireflies would fly upward, when their light would ascend. While we know that the dusk always leads to night, even the darkest night finally leads once again to the day. There are only a limited number of times that an eclipse can happen within a century, and I couldn't wait to see the one that happened yesterday. The only problem was that after several days of sunny weather and clear skies, Portland, Oregon became overcast on the day of the partial eclipse. Many didn't take time to watch it because of this. I went with friend who I used to work with, along with his wife, who has also become a dear friend, to go see the event. We went out to a soccer field at a park where we would have an open view of the sky. 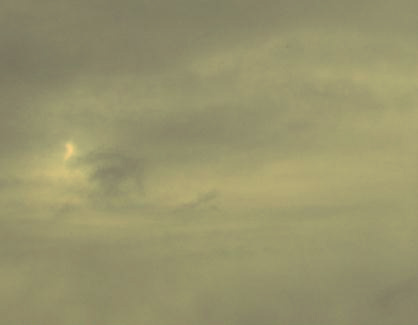 From where we were standing, the clouds broke just at the moment of the eclipse. It was nothing less than astounding. When there's no reason to go see an eclipse because there is a cloud cover, there is always a chance that the clouds will break. When you step forward, ready for some flood of light, or even a sliver of light, you might be surprised at what doors will open for you. When the clouds break for you in the overcast times of your life, it will all happen in a moment. Throughout the Fireflies at Dusk project, I have wanted to watch and write about the film, Where the Wild Things Are, yet the timing never seemed right - until now. Earlier this week, Maurice Sendak, the writer and illustrator of the book, passed away. I wanted to include a tribute to his influence on Gen X as a part of this 52-week project. Finally seeing the 2009 film come alive with creatures created in Jim Henson's Creature Shop was extraordinary. I thought it was profound, artistic, and I felt the film was true to the original book - even the color palette. Where the Wild Things Are was an extremely important book in Gen X's collective childhood experience. Some even see it as one of the most important children's books of the 20th century. There is a lot to be said about the book from a psychological perspective, and the dark undertones show you that something about the human soul is being dealt with. There are the issues of how we fight for survival, how we deal with rage, and how we become stronger because of both. "Inside each of us is hope. Inside each of us is fear. Inside each of us is adventure." There is so much to write about when it comes to the connection between the Pacific Northwest and Gen X so I hope to write more about this in the future. There have been two Pacific Northwest posts so far in the Fireflies at Dusk project: one about the landscape (July 3, 2011) and and one about the architecture (Jan. 25, 2012). The Pacific Northwest is full of berry bushes sprawling out in any open space they can find - on farmland, in forests, and in backyards. One of my most vivid Gen X childhood memories is visiting Idaho and picking giant blackberries from their vines while the dark juice would drip down and stain my hands and arms. I had never quite tasted anything so explosively delicious as their sun-ripened nectar-sweetness. Now that I live in Oregon, I can get them from my own backyard. 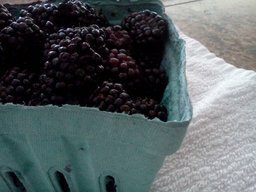 When it's not quite blackberry season yet, I can just buy some frozen and pretend it is. 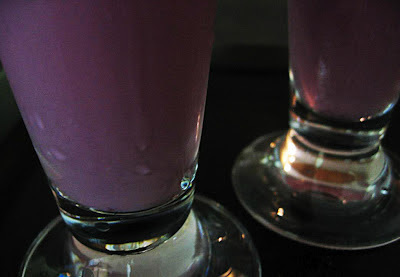 Blackberry milkshakes are a regional specialty item in the Pacific Northwest that seem to show up more and more on restaurant menus as the weather gets warmer. This week we enjoyed our own homemade blackberry milkshakes. It was the perfect way to bring alive a Gen X childhood memory, and the perfect way to enjoy life for a sweet moment in the present. Using organic ingredients makes a huge difference in taste! 1) Take out the blender and fill it 1/3 full of vanilla ice cream (I like to use sugar-free homemade) but any kind of vanilla works. 2) Add in a few handfuls of blackberries - frozen is great, but unfrozen is fine, too. 3) Pour in as much milk as you like depending on how thick you like your shake. 4) Put in 2 teaspoons of stevia. Run the blender on low for 15 seconds. Do a taste test and add more of whatever you like to get it just how you want it and blend again for 10 seconds. Air hockey is, of course, a staple of Gen X rec room fun. If you didn't play it at someone's house, you played it some place else like an arcade or a bowling alley. used to hit the puck into your opponent's goal. My daughter has been wanting to have her Godbrother and Godsister over and all of us love air hockey so this week we had an evening where we got together and had a tournament. We have a table where we store all our games, and our mini air hockey game sits next to Monopoly. We decided to capitalize on this by creating a concession stand and using the play money from the game. We took play food from my daughter's play house and took turns serving it on a small tray. We reserve the right to charge $20 for a piece of toast when it is out of season. All items "heated up" in a pretend microwave before given to the customer at no extra charge.